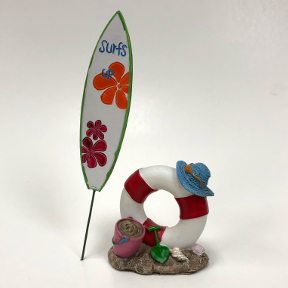 Mini World Beach Party Figurine. 2 piece set: Life Ring on sand design base with hat, bucket and shovel. Surfboard pick with SURF'S UP sentiment. Polyresin.